It’s the hot season in Bamako. How hot is it? When you turn on the cold water tap, you get hot water. That’s how hot it is. Power outages are still a daily occurrence in town, but for the last week or so they’ve been growing shorter — lasting anywhere from two to eight hours daily, instead of ten or eleven, and almost exclusively during the daytime. 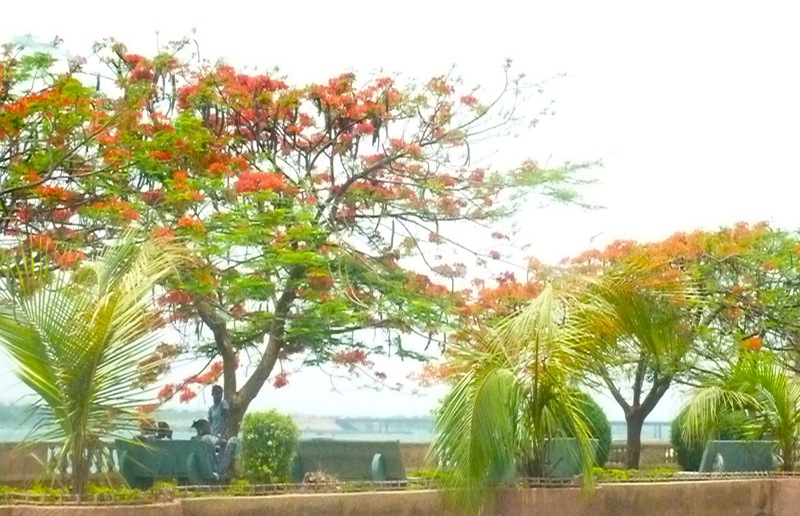 As always at this time of year, along the Niger River, flamboyant trees (Delonix regia, an exotic species native to Madagascar but now found throughout the tropics) are in full boom, their orange-red flowers bright against the hazy hot-season sky. Deposed president Amadou Toumani Touré got on a plane last Friday and flew into exile in Senegal, but only after reportedly being accosted and threatened by troops loyal to the CNRDRE junta that ousted him from power. According to an account in the local press, shots were even fired on the airport tarmac as he was getting ready to board his plane, resulting in a disorderly and disgraceful exit for the man who had been Mali’s head of state since 2002 until last month. There was a similar dust-up over the weekend when Soumaila Cissé, injured while trying to escape arrest last week, wanted to fly to France for medical treatment. Ultimately he was allowed to board his plane, but only after the intervention of high-level foreign diplomats. On ORTM, the state television service, the Turkish soap opera “Noor” has replaced the Telemundo telenovela “Frijolito” on weekday afternoons. Many Bamakoises never got to see the ending of “Frijolito” due to power outages. This was a source of much regret for the women in my household. Apparently the junta continues to exercise some degree of control over the content of state media. Inside the ORTM compound, amid the usual bustle of employees and visitors, dozens of soldiers lounge in small groups. A twin-barreled anti-aircraft gun sits in the back of the courtyard, facing the entrance. It is ideally positioned to take out any nearby threat, such as the Hotel de l’Amitié. If you’re checking in there, I’d avoid getting a room on the upper floors. Those familiar with Bamako know that there are many exotic flavors of soft drinks to be found here. 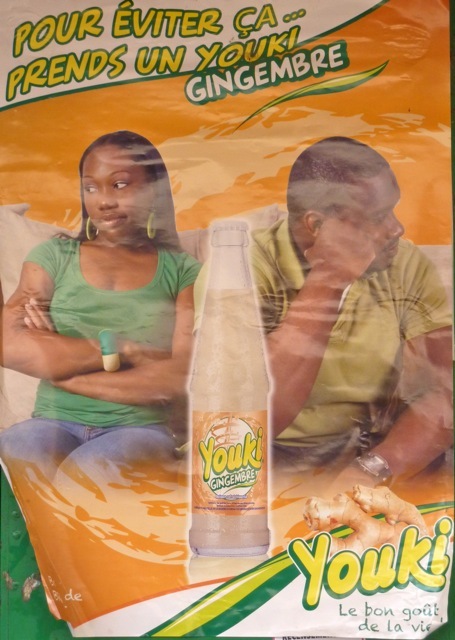 As of this month there are two new flavors on the Malian soft drink market. D’jino has a pear-flavored soda, which is not bad, and Youki has introduced ginger soda. Unfortunately I haven’t yet been able to sample the latter as it has not yet been distributed to our neighborhood beverage retailers. Just when you thought it was safe for old-guard politicians to go out in public again, we’ve gotten word of new arrests by the junta of people in interim president Dioncounda Traoré’s entourage. Which brings us back to the question, Who’s really in charge around here? If it’s the civilian transitional government, why does the army keep detaining political figures connected to it? A CNRDRE representative recently told the Voice of America that the junta exercises no political power and answers solely to civilian officials, but that claim rings about as hollow as last week’s allegations of a sinister plot against the Malian people. At least there was one positive sign in junta-civilian relations this week: CNRDRE head Captain Amadou Sanogo called on President Traoré at the presidential palace, marking the first time he’s visited Mali’s civilian leaders. Up to this point, they’ve always had to drive to Kati to see him. But the presidential palace still hasn’t recovered from the damage and looting that took place last month. Bamako received its first rainfall in six months last Friday morning, temporarily reducing the hot spell. The rain, however, came around the same time as a deadly accident on the Pont des Martyrs that took the lives of three U.S. military advisers and three Moroccan civilians. For the rest of us, even in the face of continuing uncertainty and stifling heat, life goes on. This entry was posted in Uncategorized and tagged amadou sanogo, Amadou Toumani Toure, bamako, politics. Bookmark the permalink. Thank you for all your entries about the situation in Mali. It’s nice to know what is going in – in the news, and in daily life as well, despite being far away from it now. Hi Bruce. I’m a journalist who has been following your blog since the coup. I covered the uprisings in Egypt, and travelled to Libya briefly. People asked me to write daily reflections, but what with filing stories, doing live crossings & being out gathering content, there just didn’t seem to be time. So thank you for these reflections, for this personal insight.